Your private papers in the wrong hands can be disastrous. Don’t put your formation at risk of identity theft or corporate espionage have them shredded at your Carlisle MA location on the date you want. We offer next day service Monday to Friday so give us a call today. When you’re ready we’re here to help. Our knowledgeable customer service staff is available five days a week to speak with you and help you plan your document destruction project. We help companies and individuals choose the right service for them. At the same time, we also give you a quote you can rely on that won’t have any extra fees or surcharges. On the same call, you can set up your appointment for the day you want. Need next-day service or a specific date? No problem. We offer appointments that Monday through Friday. Make an appointment and we’ll come to your Carlisle MA location to shred your documents. Our state of the art trucks has the power to destroy 6,000 pounds of paper per hour. Our uniformed techs wearing a picture ID will do all the work for you under your supervision. No matter if you’re a residence or corporation, the process is the same we place your files into our bins and they are locked to safeguard your information. The bins are moved to the trucks and a mechanical bin tipper raises the container into the truck and empties it into the shredder. Just like that, the paper is destroyed. Watch the whole process on a viewing screen on the side of the truck. One-time Shredding – Need to shred company files occasionally? You can with our onetime purge service. This service brings document destruction to your company only when you need it. Whether it’s once or a few times a year this option is perfect for your business. Scheduled Shredding – Protecting your company and client’s information is more important than ever. Many of the documents you work with every day in the operation of your business get thrown away that very same day. To protect that information and be compliant with privacy laws you need an ongoing document destruction program. Scheduled shredding can protect your information and make business operations simple, safe, and more secure. Your company staff simply disposes of paperwork in the locked bins and consoles we provide to be placed in your office. Then, our staff comes to your location on a regular schedule to empty each container and shred whatever’s inside. We offer daily to monthly schedules. Stacks of personal papers at home can’t be tossed in the trash when you don’t need them anymore. Identity thieves know that is a good place to steal information. They’ll dig through garbage bags and completely ruin your life. Don’t take chances have them professionally destroyed and don’t worry about it anymore. Our residential shredding service makes it easy to get rid of private documents. Our paper destruction truck will come right to your home and shred your papers right in front of you. It’s the most convenient and secure way to eliminate the paper records you no longer need at home. That old computer that has been collecting dust for years can be a problem waiting to happen. It has a hard drive and it has a lot of information on it. Just dropping it off at a recycling center without removing and destroying the hard drive is not a good idea. One hard drive holds millions of pages of documents that could be dangerous in the wrong hands. You may think you erased everything by hitting the delete button, but the hard drive still has that information. The only way to eliminate the data is to physically destroy the hard drive. Let our on-site hard drive destruction service experts do it for you. The National Association of Information Destruction is the organization that sets the national standards for information destruction and certifies companies that exceed those strict standards.  A1 DATASHRED is NAID AAA Certified. This esteemed recognition means you get a shredding company that upholds the highest standards in the handling of confidential information. All our staff is professionally trained and we abide by security protocols to prevent anyone from having access to your personal information. Did you know that every ton of documents we shred saves 17 trees? Document shredding not only protects your private information, it also protects the environment. We are dedicated to maintaining the highest security standards while being eco-friendly. Give us a call today so you can start shredding tomorrow.